I believe that success is created one client at a time. I strive to obtain 100% satisfaction from each and every client. I will provide you honest, quality service, incorporating up to date marketing strategies, innovative, effective promotion and in-depth research market knowledge. "Tyanne worked with me and my husband for over a year and helped us work through the process of deciding to downsize and choosing between buying an existing home or going with new construction. During that time she helped us find a lot and orchestrated that purchase for us, as well as finding us a wonderful builder AND a floorplan for the new home. She listed our home this spring and it had 2 offers within 3 days, selling at the end of 4 days. We closed 44 days from the time she listed our home! Tyanne was professional, well-versed in our area, and incredibly patient throughout our entire experience. She was easy to get in touch with, and I am still amazed that I always felt as thought I was her only client, even though that was certainly not the case! She is honest and had our best interests at heart all the time. If I ever need a REALTOR® again, she will be the first person that I call. I highly recommend her." "Tyanne is the best REALTOR® in Birmingham. She is loving, passionate, and trustworthy. She helped us purchase our home 4 years ago, and she helped us sell it this year. We will recommend her to everyone we know." "Tyanne is wonderful to work with! She helped us purchase our first home when relocating to Birmingham. Very knowledgeable about the Birmingham area, great response times and always had our best interest in mind. 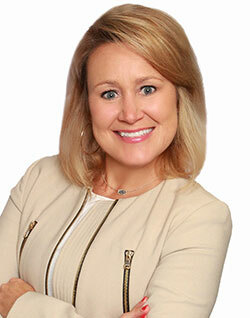 Would recommend her to anyone looking for a great REALTOR® in the Birmingham area!" "Tyanne was wonderful to work with. She is very competent, trustworthy, and reliable. We are first time homeowners and she was so intentional about walking us through each process and explaining everything clearly. She worked within our price range and with what we wanted to find in a house. She was extremely prompt in responding to phone calls and emails. We really felt like her first priority. My husband and I would highly recommend her to anyone!" "Patience and professional knowledge are tops. We had to make a quick selection process to find a house. Tyanne did a masterful job in comprehending our likes and preferences and giving us possibilities almost everyday. We looked at many, made one offer that was rejected and started again. Submitted another contact and that is when the stress started. We had a difficult contract and closing situation on an estate sale dealing with disinterested trustee and out of state attorney. Tyanne kept in communication daily with updates and understanding to our stressful situation. Her guidance made the buying process possible when we were ready to walk away several times from the lack of communication from the seller. We highly recommend Tyanne for any buy or sell real estate transaction." "From the bottom of our hearts we just want to say thank you for all you did for us over the past few months! We are so grateful and you were so wonderful. We thoroughly enjoyed working with you. We couldn't have asked for a better first time experience. Thank you for helping us to see our home ownership dreams come true!" "Thanks for doing such a great job! I will tell everyone the Agent you are! Thanks for everything!" "Thank you for all your help . . . You were absolutely wonderful!"